For sure one of the best summer destinations you can choose in Istria. Sector Pengari is in the shade in the morning until around 12AM. It offers long and beautiful routes in slabs as well in overhangs with tufas. The grades vary from 6a to 8a+. Other even better summer sector in Buzetski kanjon is called Ljetni sector or Befana. 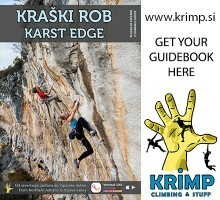 Routes here are mainly steep, long, on good holds and big tufas, true endurance testpieces. It has around 30 routes from 6b to 8b+. The wall gets in the shade already around 11 AM and stays till the evening. 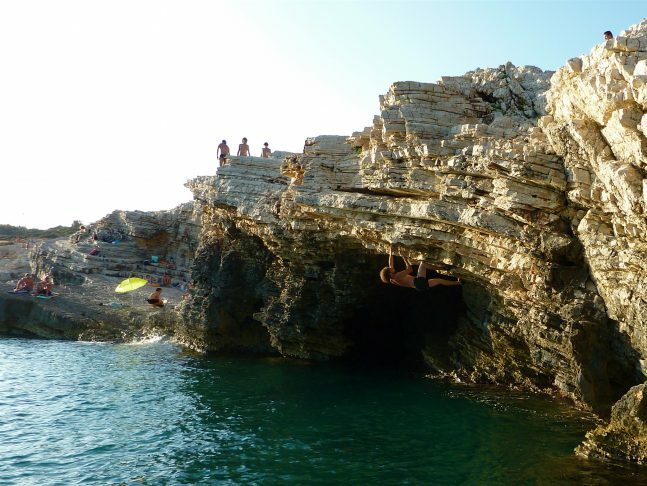 On the southest point of peninsula Istria lies cape Kamenjak. It is famous for it’s wild nature and picturesque surroundings. 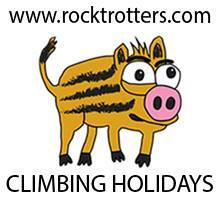 From the climbers point of view is well worth a visit if you would like to try some deep water soloing. 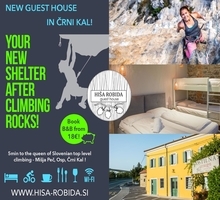 It is perfect for a visit with the family where kids can swim in the clear blue Adriatic sea while you can climb couple of meters away on low big roofs above the sea. There is no topo for the area, so forget the grades and have as much fun as possible. Easy accessible, family friendly and close to the beach. What can you ask for more? There are 100+ routes from 4a to 7a, not more than 15-20 meters high on vertical rock and they stay in the shade in the morning. In the afternoon don’t forget to jump in the beautiful Adriatic sea! Interesting climbing area just five minutes away from the center of Pula. It is located in an old Roman quarry with walls facing in all the directions, so you can always find some routes in the shade. For sure better option for climbing activity is in the morning when it is still a bit fresh. It has around 40 routes from 5a to 8a. Warning! There are some artificial holds, routes and walls as well. In the heart of peninsula Istria lies city called Pazin. Just couple of kilometers away there is a climbing area called Zarečki krov. It is one of the best summer climbing areas especially in the morning when it is fresh because of the lake and waterfall just near. It is characterized by short and steep routes above the lake. It has around 30 routes from 4a to 8b, 6 to 25 meters long. After climbing it is always nice to jump from the top of the wall close to the waterfall directly in the fresh lake. Small dark cave near Aurisina above Trieste offers some 20 really steep and mainly shorter routes in higher grades, mainly from 6c to 9a. It almost doesn’t get any sun at all, which makes it perfect summer crag. Near Sežana in Slovenia exist a perfect summer cave called Skedenj and near Zgonico above Trieste there is another one called Baratro. They both have many hard overhanging routes from about 6b on. Because they are both on private property we are not allowed to give you further infromation, just ask friendly locals and they will gladly take you up there. For sure, they are both very worth a visit!